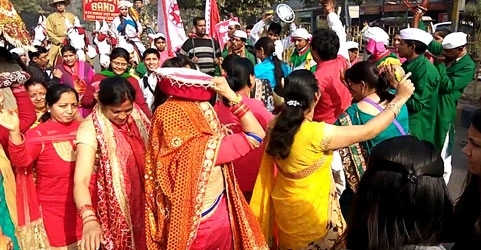 Ardh Kumbh Mela is a holy gathering. 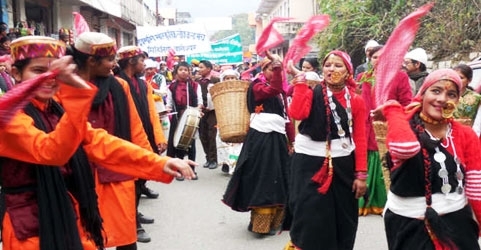 The sacred assembly of devotees happens every 6 years at the holy places which are believed to have been blessed by drops of Amrit (elixir). 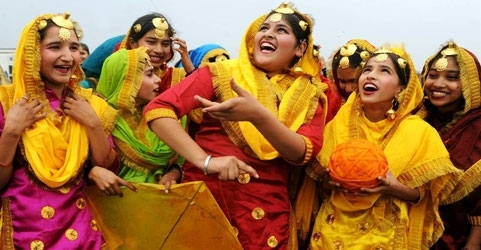 The festival means Kumbh (pot) and Mela (gathering). 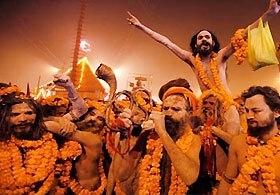 Kumbh Mela is the largest gathering of Hindu devotees in India. 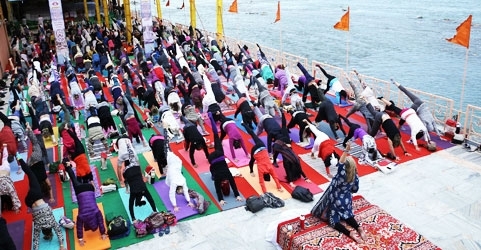 All the believers take bath in the holy waters of River Ganga at Haridwar; confluence of Ganga, Yamuna and Saraswati at Dev Prayag; River Shipra at Ujjain and River Godavari at Nashik. Attendees of the Mela are from all walks of life. The rich, the poor, the sadhus and every bather is purified with the blessed waters. During this time, bathing in the blessed waters of River Ganga is considered the attainment of divinity. According to Hindu Mythology, there were continuous wars between Devas and Asuras. To stop the endless fights, both the involved parties came to a conclusion that they instead of fighting should come together and churn the milky ocean. The spills would be divided equally. The churning of the sea gave numerous gifts and also the deadly poison (halahal) which was drunk by Lord Mahadev. The churning continued till Elixir was obtained. To save the elixir from the hands of Asuras, Devas hid the pot. The search for Amrit continued for 12 days and 12 nights. 1 day for the divine beings were equal to 12 human years. In this chase, a few drops fell on earth and now at these four places, the Kumbh Mela is conducted. Every 12 year a holy gathering takes place to attain blessings in the places sanctified by elixir. Ardh means half so this gathering happens every 6 years. 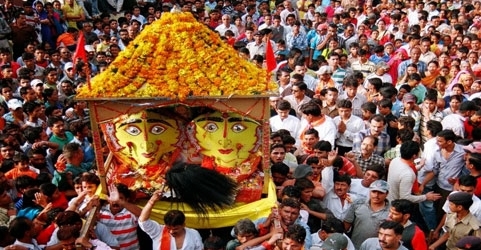 Ardh Kumbh Mela is to be organized in Haridwar. 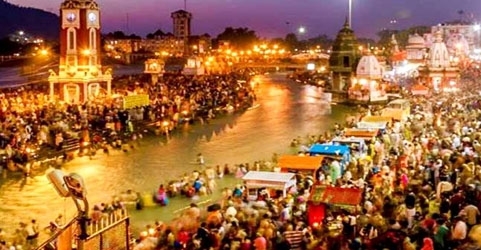 During the holy gathering devotees will take a dip in the river Ganga. Due to the astronomical positions of the sun and other grahas (astrological figures), it is believed the waters at these places are charged with divine powers. Bhajans, kirtans, chanting of hymns also takes place on the river ghats. 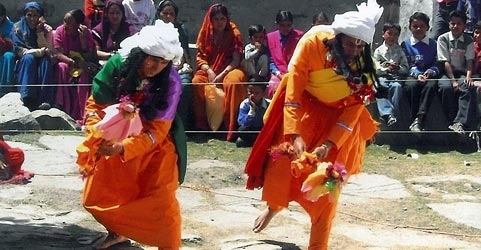 People offer prayers and perform pujas to appease the Gods. Haridwar is well connected by roads. The city can be accessed from Delhi (210 Km), Dehradun (90 km) and many important cities. Haridwar Railway Station is the nearest railhead and well connected with major train stations of India. Jolly Grant Airport in Dehradun is the closet airport to reach Kumb Mela Haridwar, It is just 90 kilometers away from Haridwar city.